Snails fall under the Phylum Mollusca which ranges second, following Phylum Arthropoda, in having the most diverse number of animal species (Hickman et al., 2009). Animals in the Phylum Mollusca are believed to have originated from the sea, as supported by fossil evidence, however, snails eventually invaded land and may have been the first animals of the Molluscs to do so (Hickman et al., 2009). Snails fall under the Class Gastropoda and inhabit a wide range of habitats, however, land snails are more limited due to their dependence on humidity, shelter and calcium (Hickman et al., 2009). More specifically, this website is about the land snail Linisa tamaulipasensis commonly known as the Dryland Liptooth. The Linisa tamaulipasensis is a terrestrial pulmonate, or air-breathing, snail found within the snail family Polygyridae. 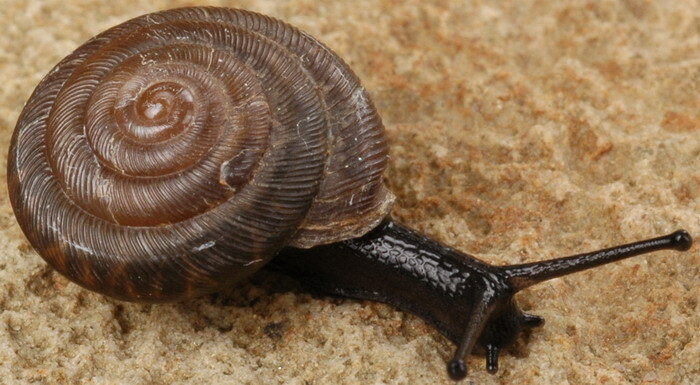 Not much study has been done on the Dryland Liptooth, so there is not an extensive amount of information available, however, the goal of this website if to provide as much information as possible about this lesser studied snail. To learn more about other species of snail, visit the Land Snails of Wisconsin Website. To learn more about other organisms, visit the Multiple Organisms Website. To navigate to the next page, click on Gary the Snail.